The iPod classic 5G was released later after iPod classics had been in development for a considerable period of time. IPod classic 5G devices need similar replacement services to what the previous models need. Because this device was quite larger and the screen was much bigger in size, screen repair services for internal LCD screen replacement are often needed. Here at The iPod Repair Centre we offer it as a very affordable option for when the screen has gotten damaged. 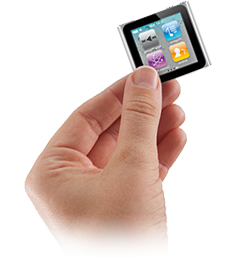 Here at The iPod Repair Centre, we also provide front casing, rear casing, and complete rehousing services for the iPod classic 5G! We also provide unusual repairs like headphone socket repair, in case the headphone socket for your device has become damaged or is not working anymore. Select this repair if your sick and tired of looking and your old tatty iPod. This repair includes a full front and back housing that will make it look like new.